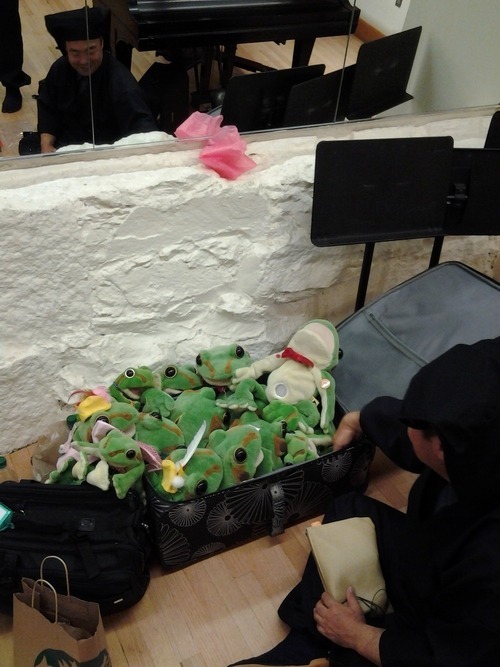 backstage at the ignobels, a suitcase is re-filled with appealingly goofy frog-shaped pitch/volume instruments. from japan, of course. "kaeru" (カエル) is japanese for frog, "kero" is the sound japanese frogs make (thx mako), and of course you know of the theremin. The name comes from "kero" is the onomatopoeia for a frog noise -- i.e., Japanese for "ribbet".